Our DVR-WVG1 law enforcement grade Body Worn Spy Camera Video Glasses with WiFi, P2P, HD 1080P, built-in real-time digital video recorder and invisible camera lens stores 1 minute of video per 18MB and you can use up to a 128GB SD card (optional). It also features up to 1 hour of battery life per battery arm (2 battery arms included) and its HD 1080P invisible color camera makes it ideal for all body worn hidden spy camera applications. NOTE: SD Card is not included. 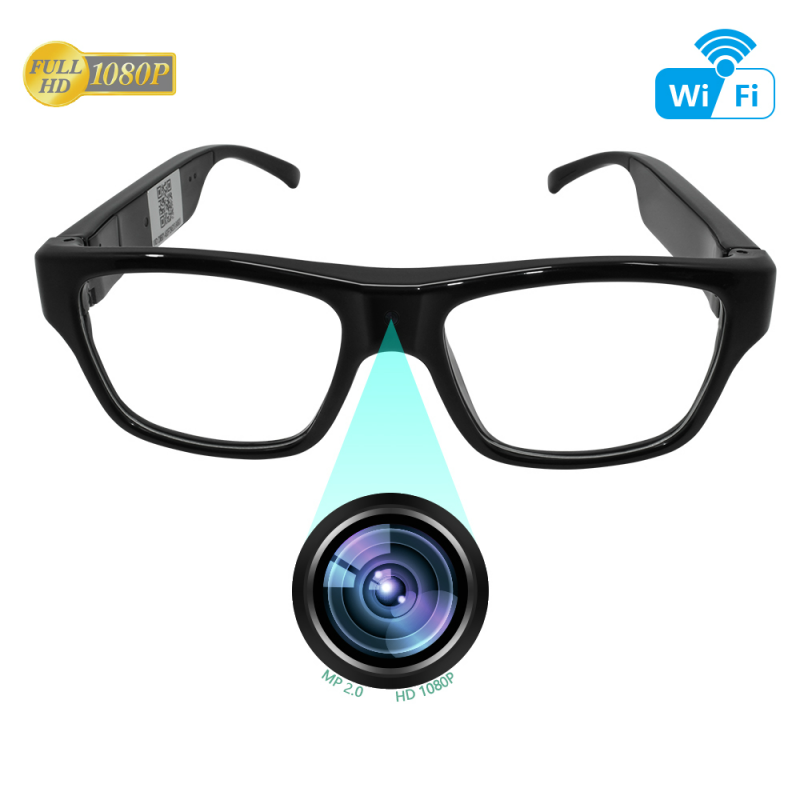  This camera will not function without a SD Card. 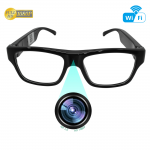 If you do not have a SD Card, you can order optional Class 10 cards when ordering camera. 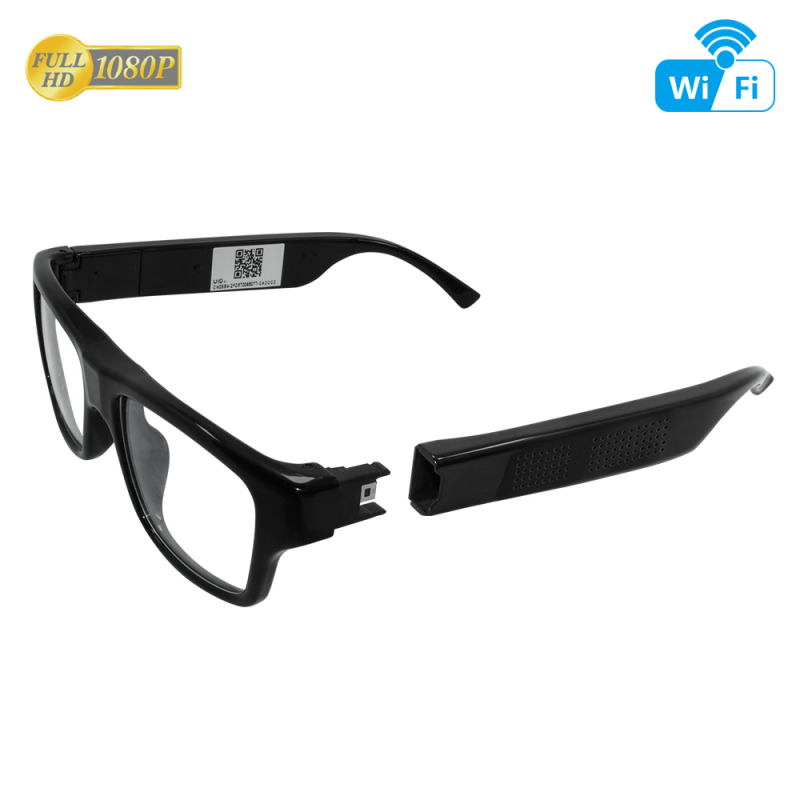 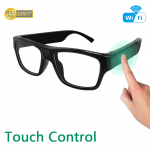 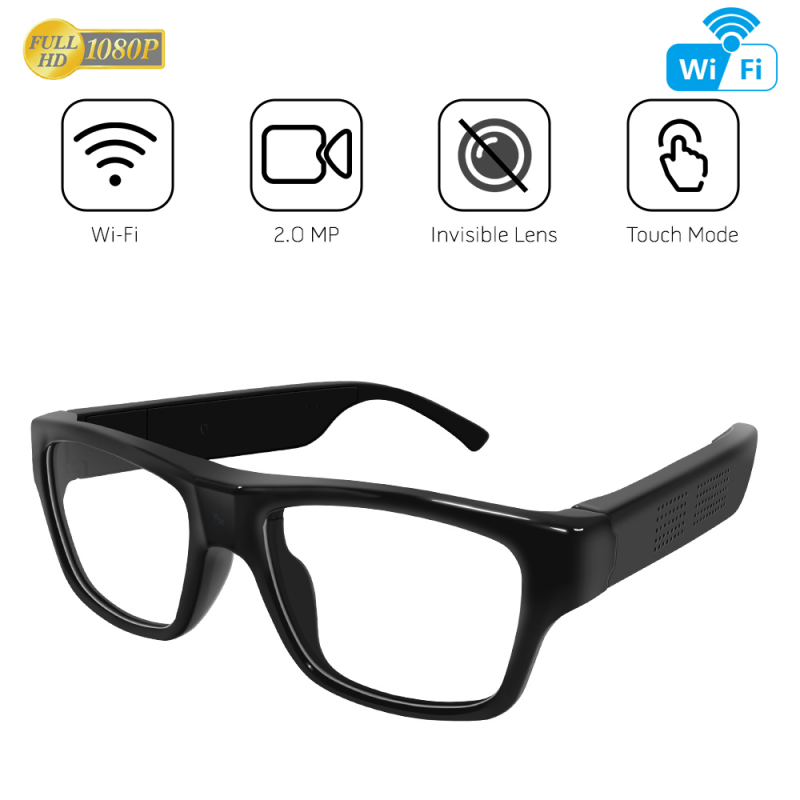 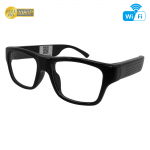 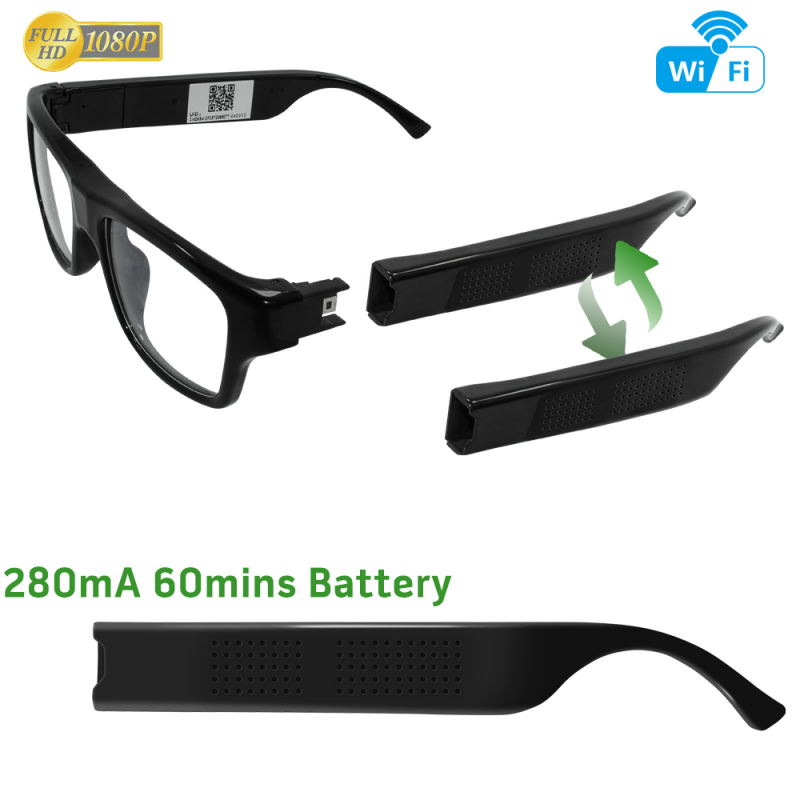 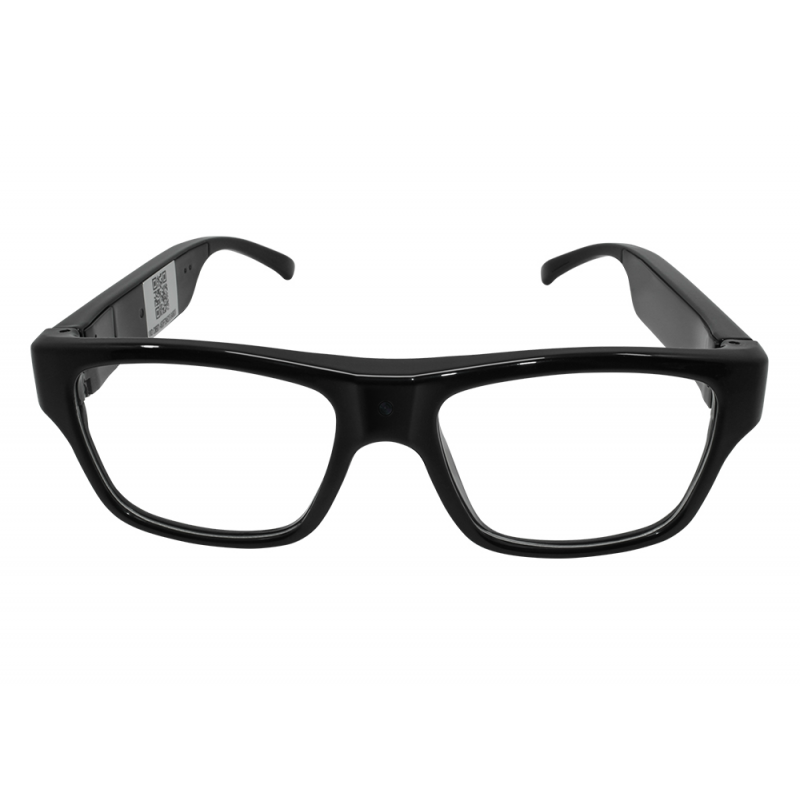 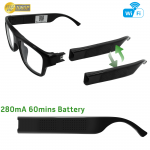 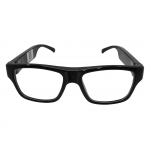 The DVR-WVG1 Body Worn Spy Camera WiFi Video Glasses comes complete with two battery arms, battery arm dual charger, card reader, cleaning cloth, instructions, and our 1-year warranty.